Hands in his pockets, the guy in the black hoodie never sees the punch coming. One right cross to the chin and he’s out cold in the snowy Legislative Information Office parking lot. Cut to the pavement in front of the Gaslight Lounge, yellow under the streetlights. A fall-down drunk backhands a cop. Across the avenue a man is stabbed outside the Anchor Pub and Club. You’re watching Anchorage bar break’s greatest hits. 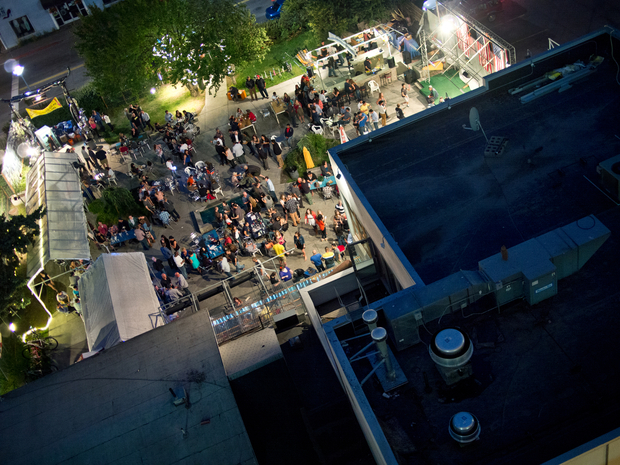 Filming from rooftops, cars and hidden cameras, police have stockpiled hours of footage documenting late-night mayhem on a single block of downtown. 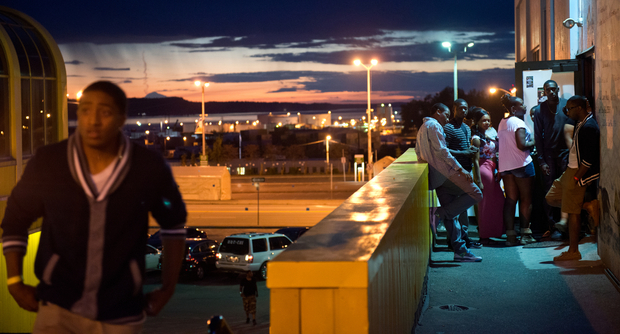 “Some of the warm nights you’d see a fight every 10 minutes or so,” said Sgt. Mark Rein, who oversaw the effort from late 2011 to early this year. 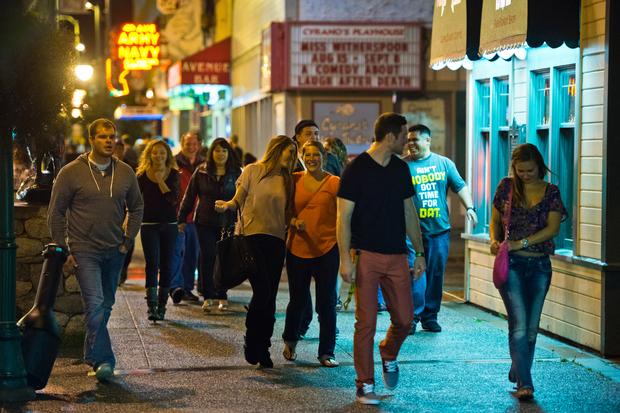 This is what the Anchorage Press once called “barmageddon,” the brief but volcanic period just before and after 3 a.m. when hundreds of people leave downtown bars and spill into the street. 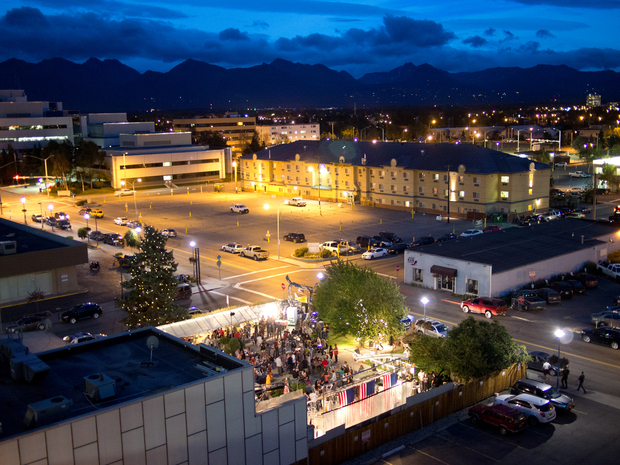 From the food trucks to the street fights, it’s a side of Anchorage most people never see. Tourists and their shopping bags vanish from the sidewalks. Miniskirt girls with Gucci clutches appear, heels clacking. 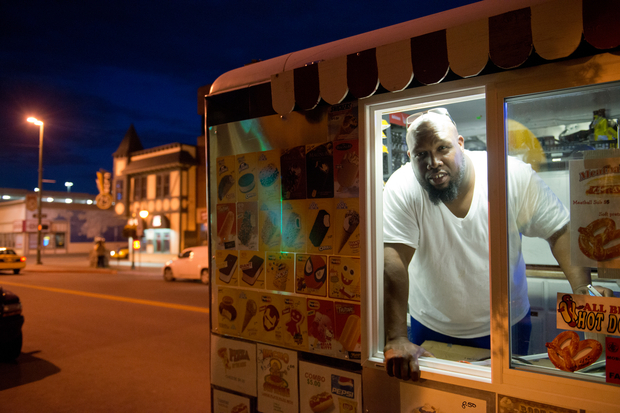 During this summer of record-breaking heat, guys in striped button-ups and T-shirts sauntered in the roadway eating $3 snow cones. 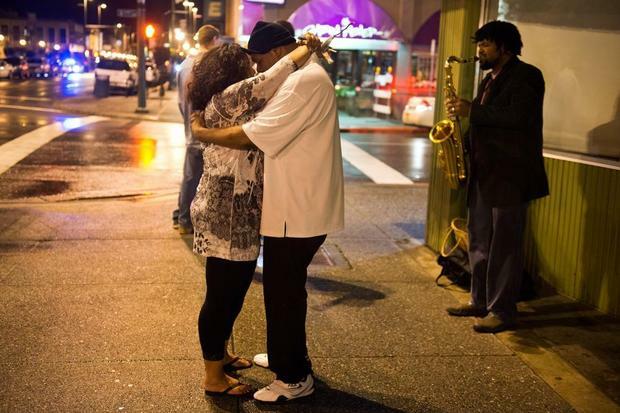 On most nights, 28-year-old Nelson Felix Jr. brought his saxophone, earning as much as $300 playing “Careless Whispers” by George Michael, the Super Mario Bros. theme and other requests. 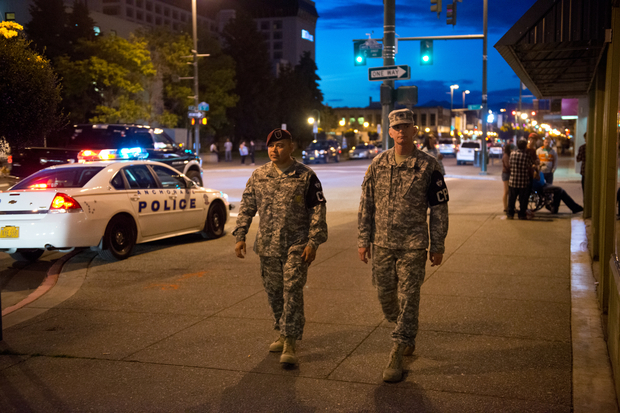 “The craziest thing I saw this summer was, I believe, two people got shot,” he said. A yearlong push by Sgt. Rein and his Community Action Policing team to curb late-night attacks, drug dealing, rapes and drunk driving in the city’s busiest bar district came during a surge in closing-time violence. One night in October a 27-year-old man was shot and killed outside Platinum Jaxx. Another man was stabbed 12 minutes later in an unrelated bout three blocks away. Detectives are still searching for a shooter who wounded three people outside the Anchor Pub on June 15. 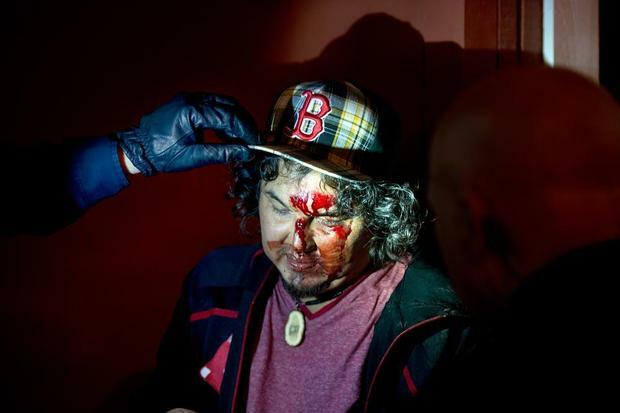 The gunfire began after two men began arguing while standing in the scrum of people surrounding the door at bar break, police said at the time. Figuring fewer drunks would mean fewer problems, police at first tried to stop bartenders from over-serving customers, Rein said. His undercover team ticketed eight servers in early 2012. They brought charges against another 20 customers under a little-known Alaska law that makes it illegal to be drunk on a licensed premise. The liquor industry pushed back, organizing a legal defense fund. The Community Action Policing team was ordered to stop focusing on servers and drinkers inside bars and instead target crime on the surrounding streets, Rein said. Asked why the city changed its tactic, Mayor Dan Sullivan, himself a downtown bar owner, said the state district attorney was not pursuing the police department’s charges against servers and drunks in bars. “What’s the purpose if you’re not even going to get to the point where the court’s going to hear these cases?” Sullivan said. Deputy District Attorney Clint Campion said his office never made a blanket decision to drop the cases but found many of the arrests would have been difficult to prosecute before a jury. In a busy bar where a bartender is serving 20 people, for example, it could be hard to prove that the server should have known a customer was clearly drunk. Prosecutors remain “very interested” in clear cases of over-serving, he said. Few customers were staying late as of late September. “Each weekend night there’s only been a handful of people remaining (inside), and the sidewalk is packed,” said Gaslight owner John Pattee. 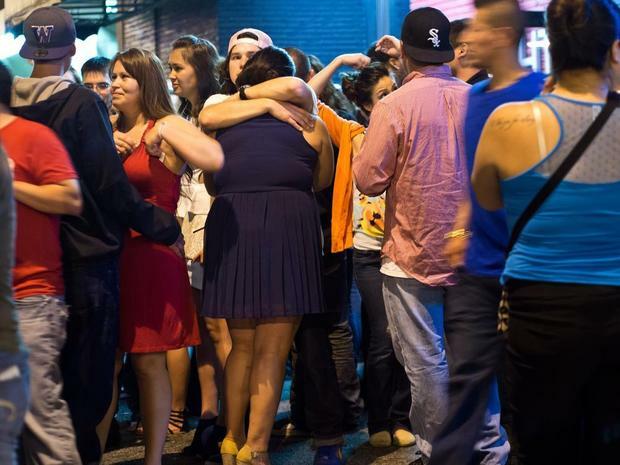 As many as 250 people exit his bar at once, Pattee said. Some hang around waiting for rides or debating where to go for the afterparty. “There’s a handful of them that are looking for trouble,” he said. 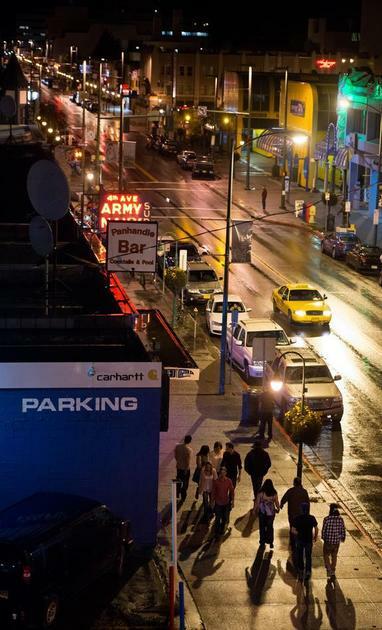 Two popular downtown clubs have closed in the past two years. 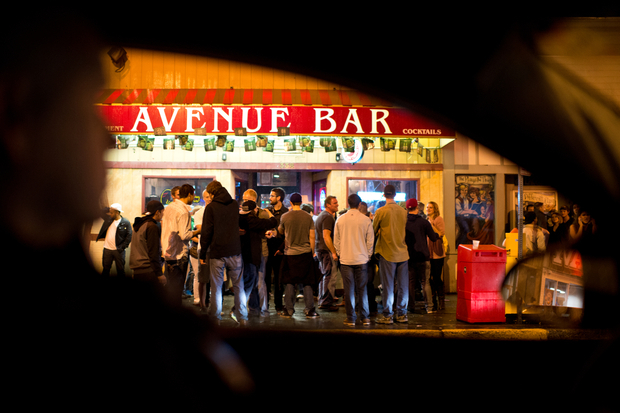 Rumrunners, at Fourth Avenue and E Street, shuttered in late 2012 while facing criminal charges that a bouncer severely beat a handcuffed customer. A Hard Rock Café is expected to take its place. The Anchor closed in August to make room for an expansion of the Legislative Information Office. That bar and dance club filled with as many as 400 people on busy nights, a manager said. Police considered it one corner of a triangle of bar break commotion when combined with the Pioneer and Gaslight across the street. 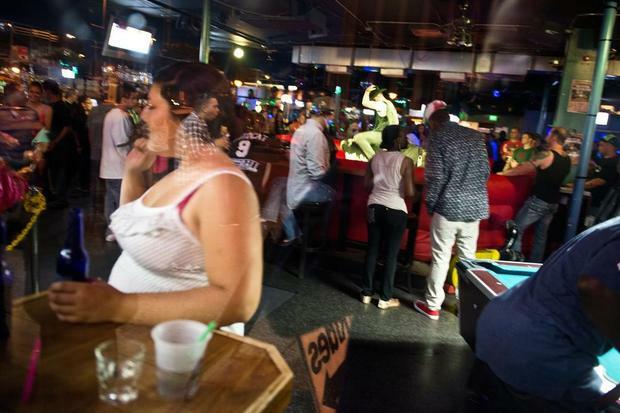 Whether the closures dampen late-night violence — and whether dropping temperatures lure more people to stay inside bars for the alcohol-free safety hour — remains to be seen. On one recent Saturday night, the scene remained a mini-Mardi Gras. 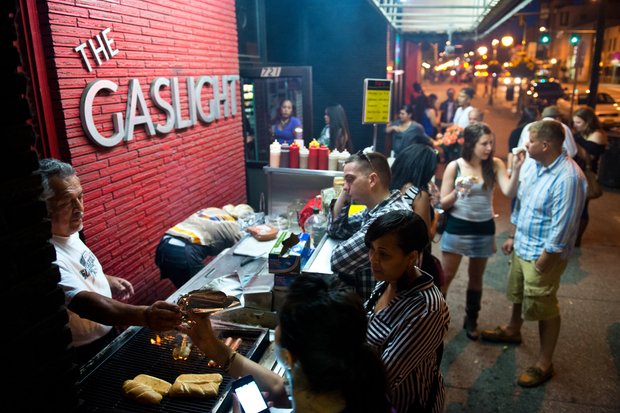 More than 100 people were elbowing outside the Gaslight when several voices began hollering at once. Punches flashed. Bar security dragged a wild-eyed man in a polo shirt to the ground. He howled, unable to move. 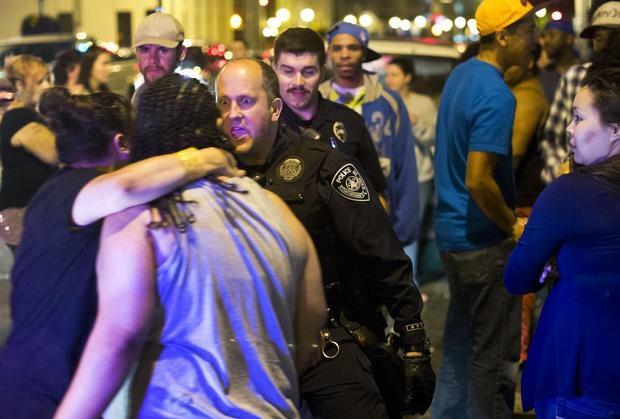 When police arrived no one was arrested, a department spokeswoman said. “They apparently were mutual friends that had gotten into a fight,” she said. 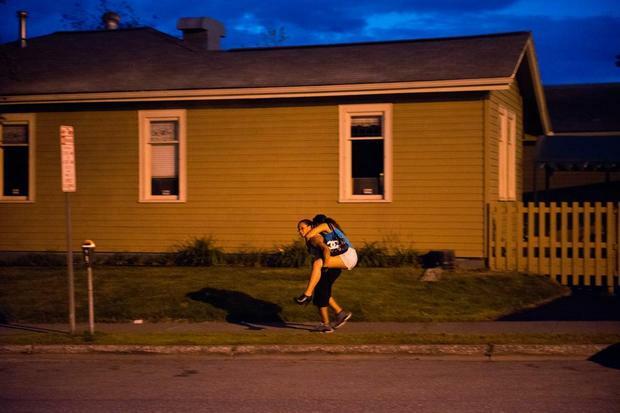 This short clip of a fight outside the Gaslight Lounge in Anchorage was filmed in September 2013 by Anchorage Daily News reporter Kyle Hopkins for a news story on closing-time violence in the city. Originally published October 17, 2013 by Kyle Hopkins in Anchorage Daily News.